I couldn't be prouder of her and the wonderful life she gave me sister and i because of all the hard work she has done over the years. for me it is beyond gratifying to see her retire and start this new phase of her life where every decision she makes is for her and her alone ... love you ma. as for the outcome ... they were gone SO fast, i had to make more. 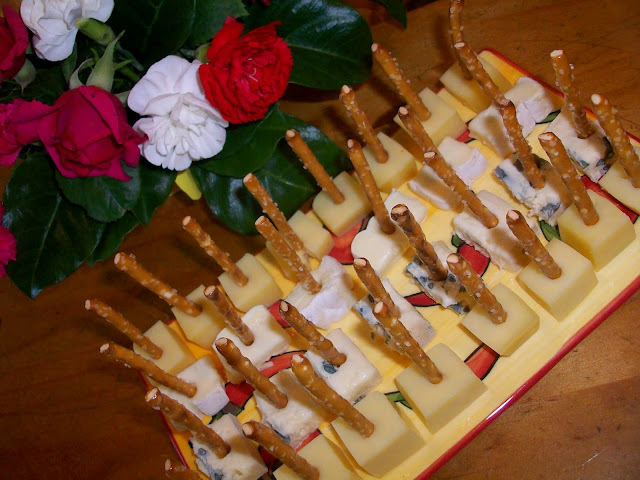 and then the ideas on how you could add fruit (like pineapple), use chocolate, antipasto goodies, and all sorts on these edible toothpicks .. yes, these are my new favourite thing to pimp ... go by yourselves some pretzel sticks and see what creations you can come up with. awesome idea by women living well, these are going to be my new party go to for all types of different occasions! 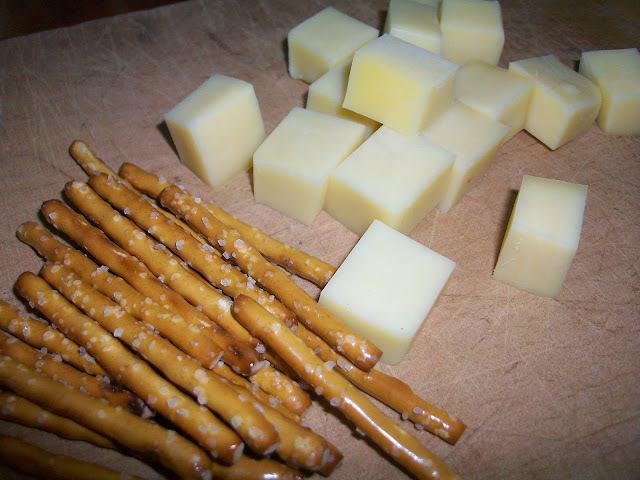 Well these beat cheese and pineapple on a cocktail stick anyday!! Firstly - Congratulations to your Mum! 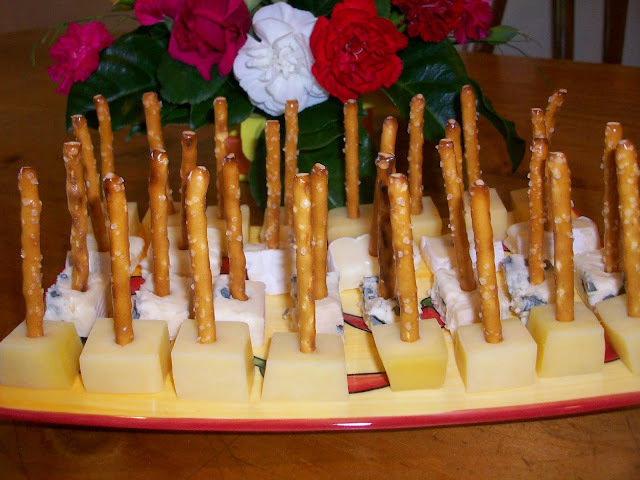 and secondly, those pretzel toothpicks are a fabulous idea and look so good too! Such a simple idea that I wonder why I didn't think of it!! Next time i have to take a plate, I know how to impress everyone! 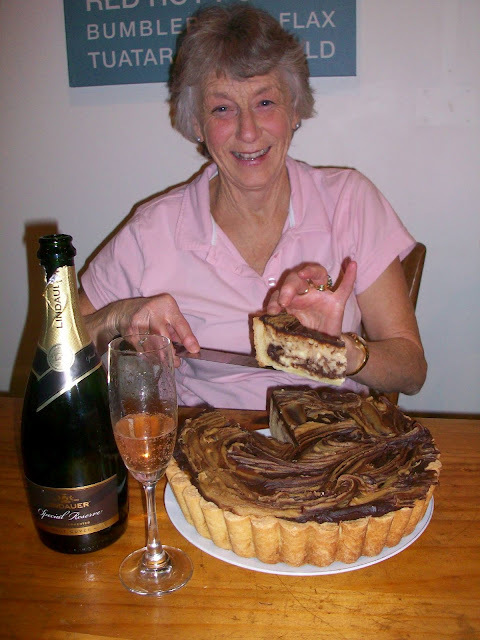 Big congrats again to mum! Such a gorgeous, happy smile! Not being a cheese fan I'll stick with the pretzel sticks in peanut butter cups you made for Halloween. 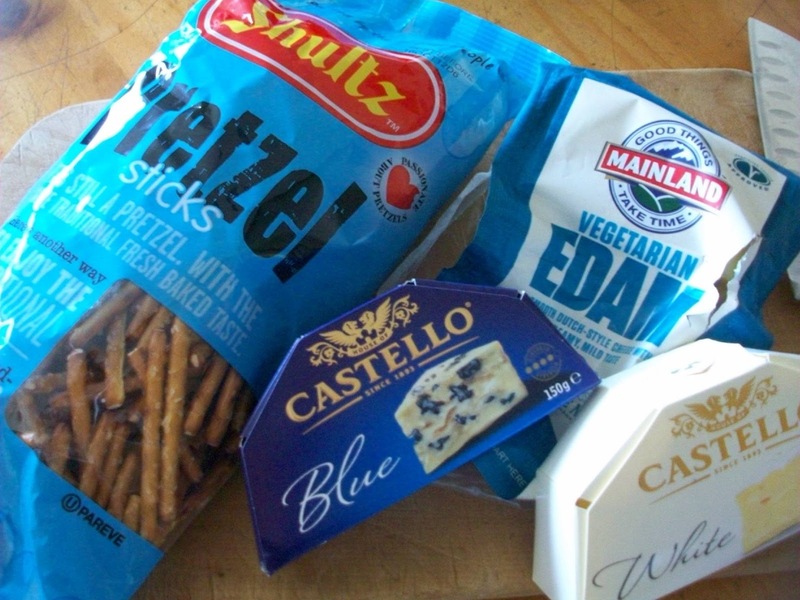 :) Although I don't think I'll be able to eat them without envisioning you in a pimp suit hawking your pretzel wares!